PAW Animal Shelter is a 501c3 No Kill Shelter located in Southeast Iowa. The shelter operates soley on donations from the community, refundable bottles/cans, memorials and small grants. (No City , County or State funding) For over 30 years PAW have served the Tri State area taking in lost, abandoned and surrendered animals. We are a high intake shelter with a daily staff of 4. With almost 200 animals in our care daily, we have a lot of poop. We now find ourselves in need of a new septic system. Without a functioning septic system, PAW will be forced to suspend operations and the lives of the 200 animals in our care will be in jeapordy. Many of our animals are "breed specific or special needs" making it difficult to place in other shelter. We find forever homes for almost 600 animals a year and are proud to say we have animals in wonderful forever homes throughout the United States. We need your help. Each donation of $5, $10 or more will help us continue to find forever homes for the amazing animals in our care. Without YOUR help we cannot continue to do what we do...Save the lives of so many wonderful animals. Posted by Protectors of Animal Inc.
Penny's Promise is a fund created in honor of Penny and the thousands of puppy mill dogs just like her. 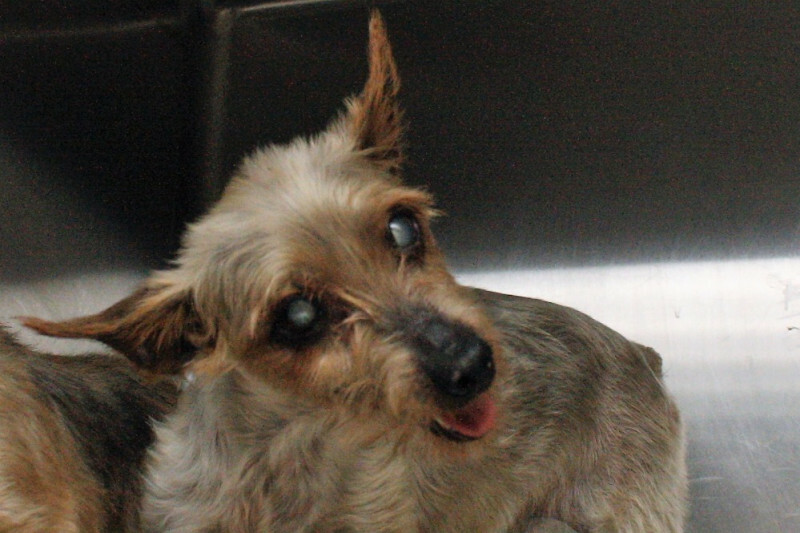 Penny came to us as a 10 + year old commercial breeder with severe cataracts, a ruptured ear drum and severe diabetes.. ALL of which could have been EASILY prevented with proper care. At P.A.W. Penny had her first chance to experience really love, proper care and even grass for the very first time. Our promise is to honor Penny by continuing to give all commercial breeder dogs in our care a chance at love, grass and the life they deserve. Penny's Promise will go to help all commercial breeder dogs in our care with major medical issues and life enrichment care. Meet Avi. This sweet, pure bred, 4 year old West Highland Terrier was brought to PAW suffering from severe yeast infection, ear infection, flea allergies and huge hair loss. Over 70% of her body is HAIRLESS due to PLAIN and UTTER neglect. Because of the generous support of people like you, Avi will receive the best care and in a few months will be the gorgeous Westie she was always meant to be. Right now or Septic System is doing well. We are now playing the " waiting game" while we are waiting on the Engineer to advise us the best and most cost effective way to move forward. Thank YOu to all who have donated and to those of you who will donate. We cannot do what we do without your help. What all of you do at your shelter is such a blessing to all of these wonderful animals.